Im sporting my new tights, dont you love them? :) They are made of cotton, busy keeping me warm and fussy. 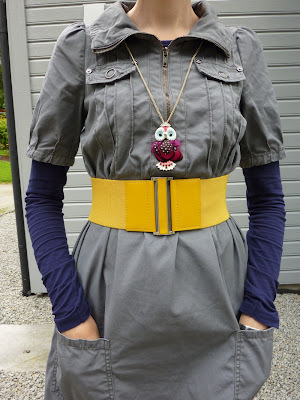 ;) This tunic is quite voluminous on its own, I think it works better belted on my skinny frame. Im linking up to What I wore Wednesday at The Pleated Poppy. 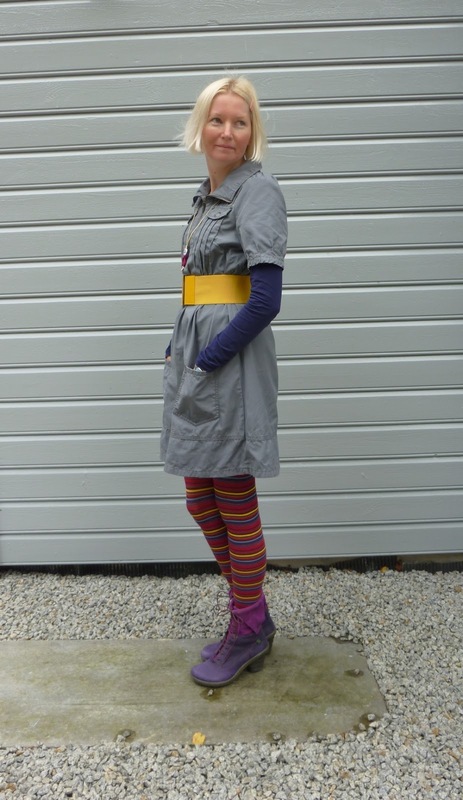 I wear lots and lots of grey and I am totally avoiding that title, lol! Interesting details on your tunic, and I adore your colourful accents, especially those great tights and boots! Love the bright accents! The belt, the tights (yay!) and those boots are amazing. Oooh the tights are so cute! 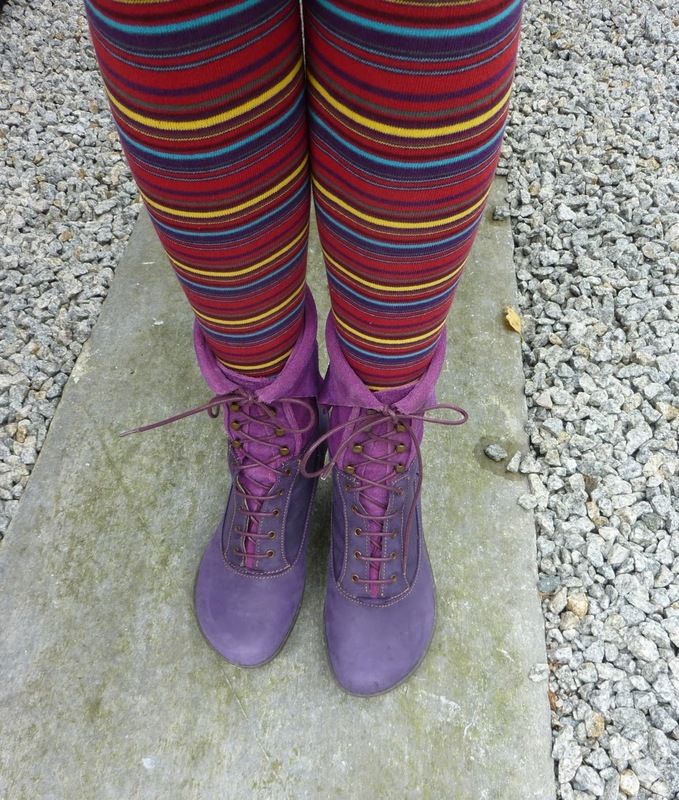 Especially with purple boots. 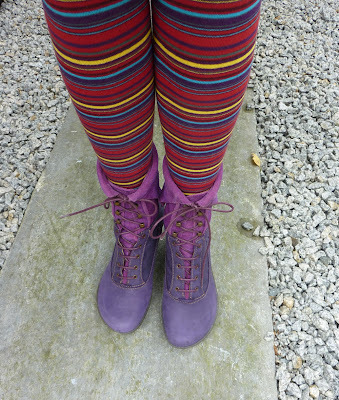 My newest obsession is purple, especially purple boots. Ankle boots are my favorite height boots. They work nearly year round and with everything. Yup ankle boots are the best! An i too love ankle booties! Great to get to know another ankle boot fan. :) Thanks for your sweet comment! The belt and tights with these basics are brilliant. Gorgeous. Oh, you are soo sweet Lynne! :) Thank You! At Sofili.dk you can get a range of Sneaky Fox tights, or is that where you're buying them from now? Anyway, these are great, paired with the bootsies and belt, they take your grey outfit to a higher level! Anyway, the grey tunic is lovely, it makes me want to wear my grey dress, only I haven't got any bootsies - can I just borrow yours for minute?? ?